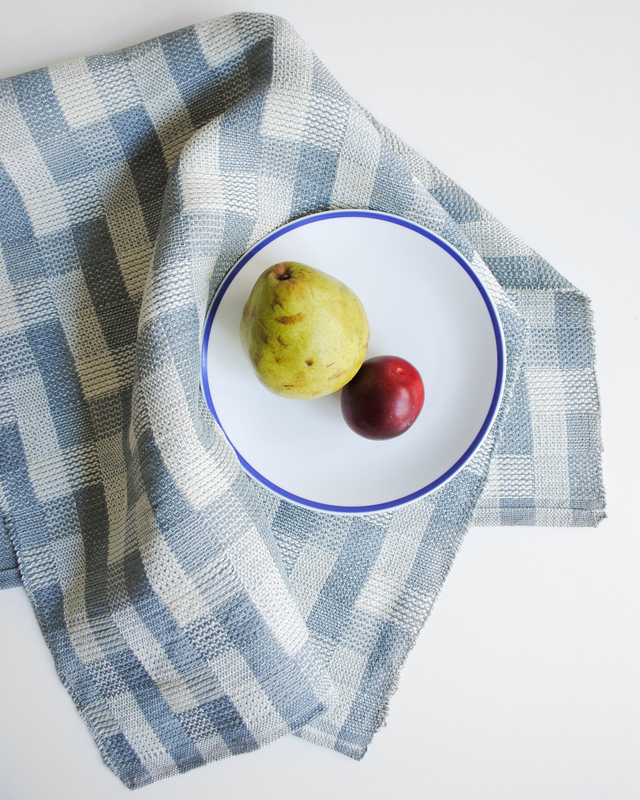 Weave a set of timeless linen tea towels designed by Whitney Crutchfield of We Gather. 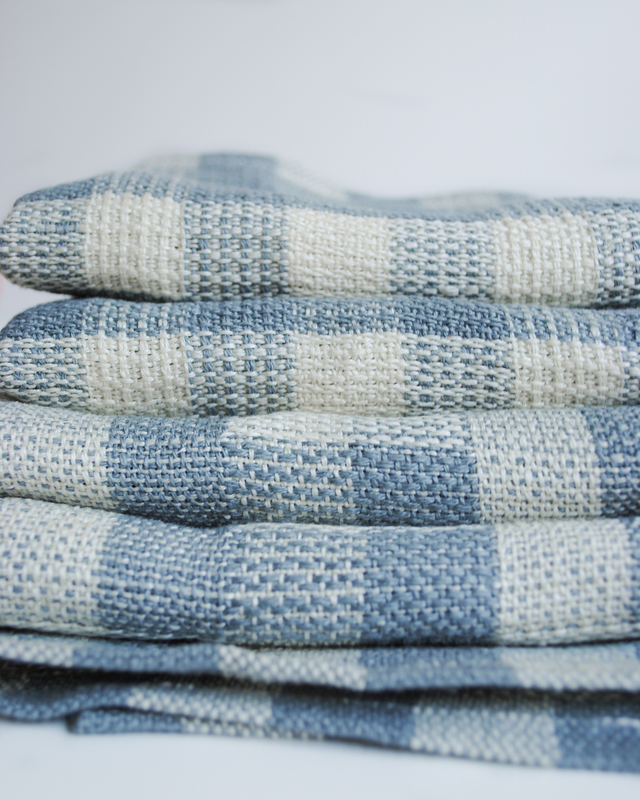 These towels are woven with our favorite Linen Weaving Yarn and Japanese Sparkly Weaving Yarn for an unexpected hint of shimmer. 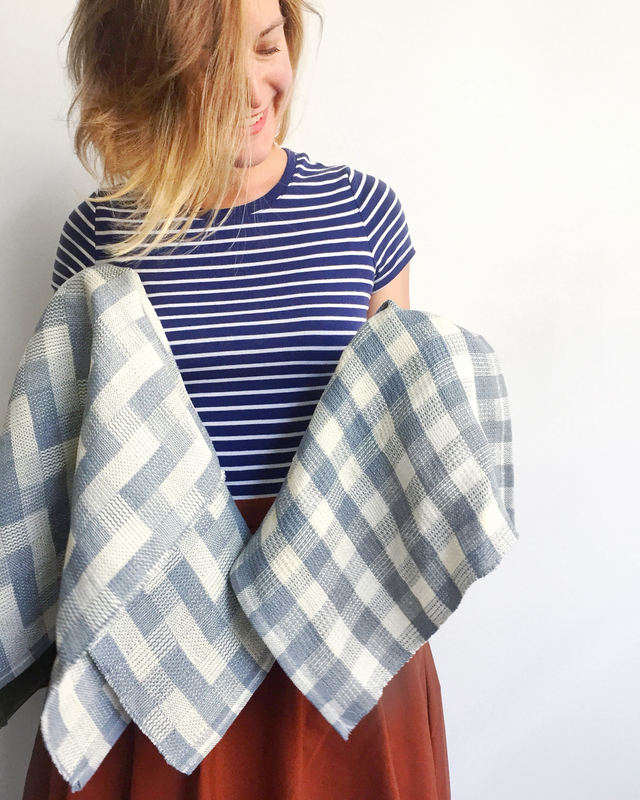 Whitney has provided us with her variation of a classic Summer and Winter weaving draft, so don't let the name of these towels fool you - they are perfect for all seasons and occasions! Next you will begin to weave alternating blocks of Summer and Winter. (See draft below). Note that this draft only shows pattern picks. For each pattern pick woven you should alternate with a tabby pick of the opposite color. 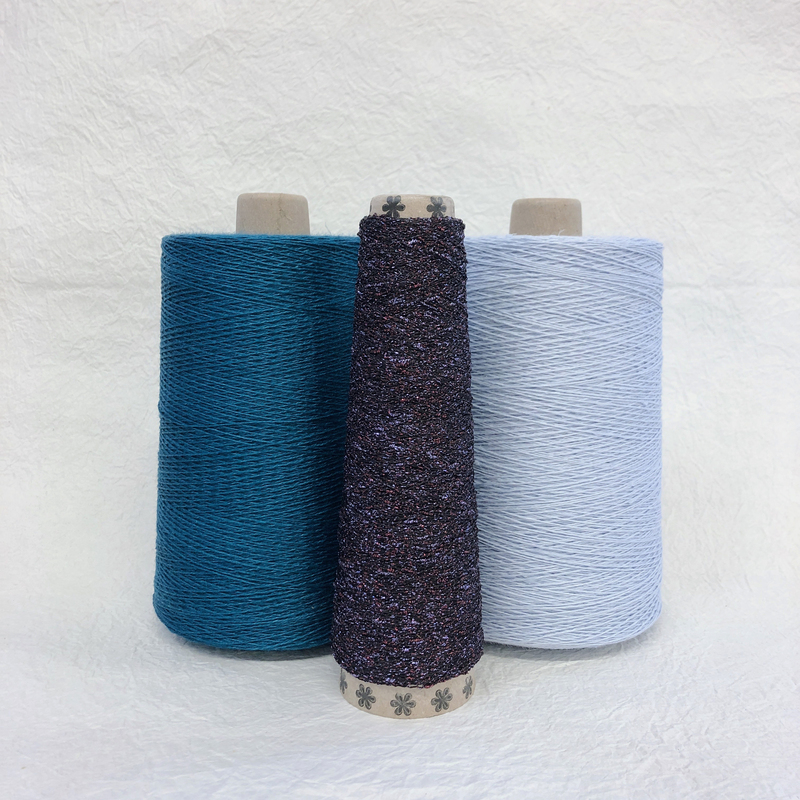 For more information on Summer and Winter, check out this post by Melissa Ludden Hankens on the Schacht Spindle Company website. Each color block should measure about 1". 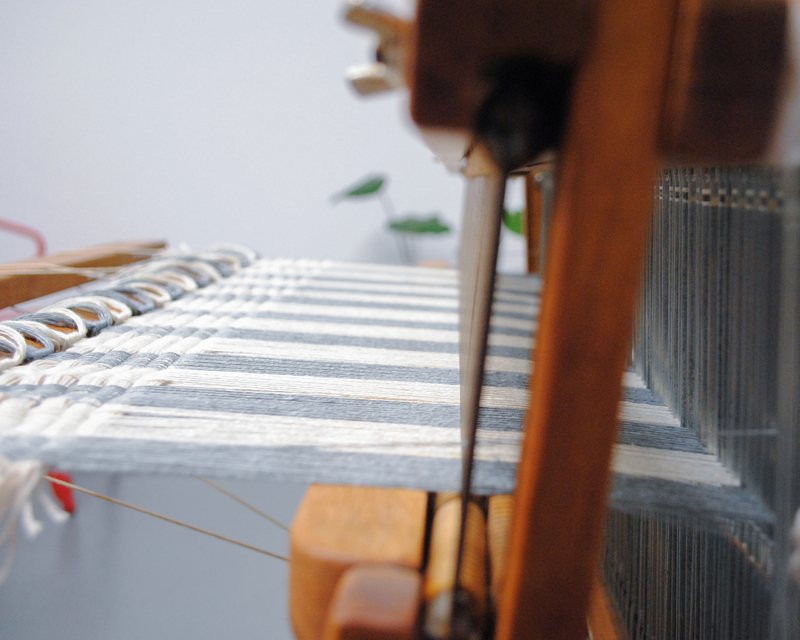 Once you have woven about 28", finish with another 2" of plain weave hem following the sequence above. Repeat the process for your next towel(s). Cut your towels off the loom. To best preserve the fabric, hand wash in cold water with a mild soap and air dry. 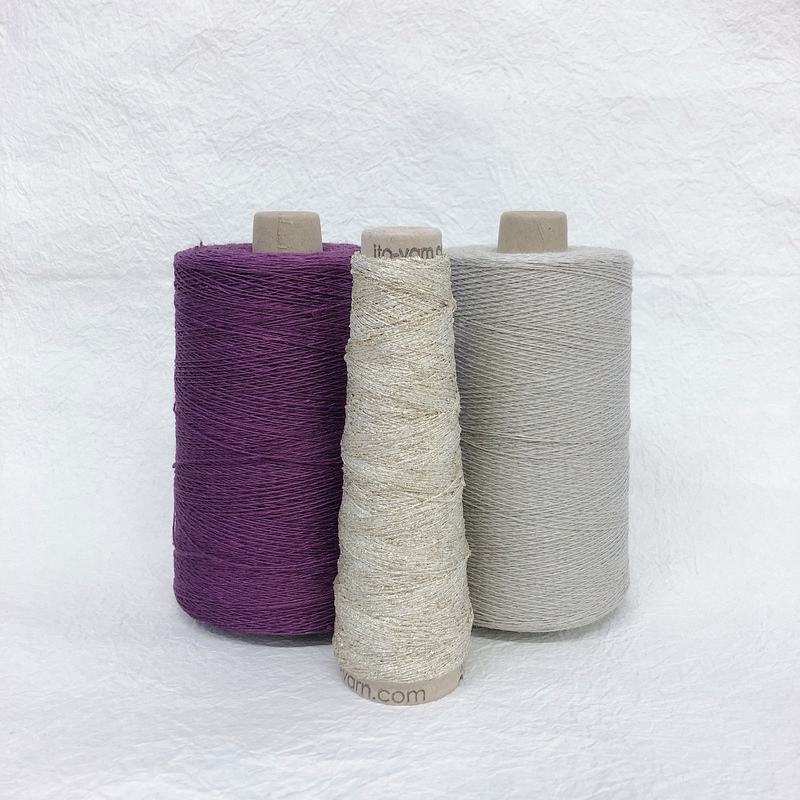 Press (be careful that the iron isn't too hot for the sections with the sparkly yarn) and cut apart the towels and finish each plain weave edge with a hand sewn rolled hem. 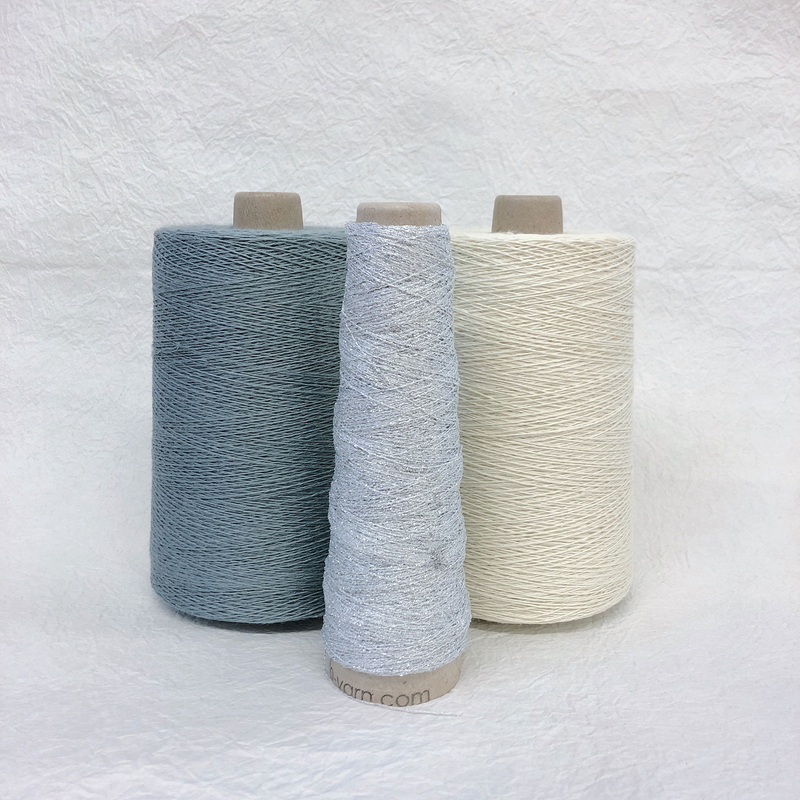 Whitney writes, "I really loved working with this linen yarn. I tend to lean toward fibers with a slightly drier, crisper hand anyway, and this was right in my wheelhouse. Using it as warp was virtually problem-free; the tension was even, the shed was clear. I loved it. And the drape on these is pretty great. 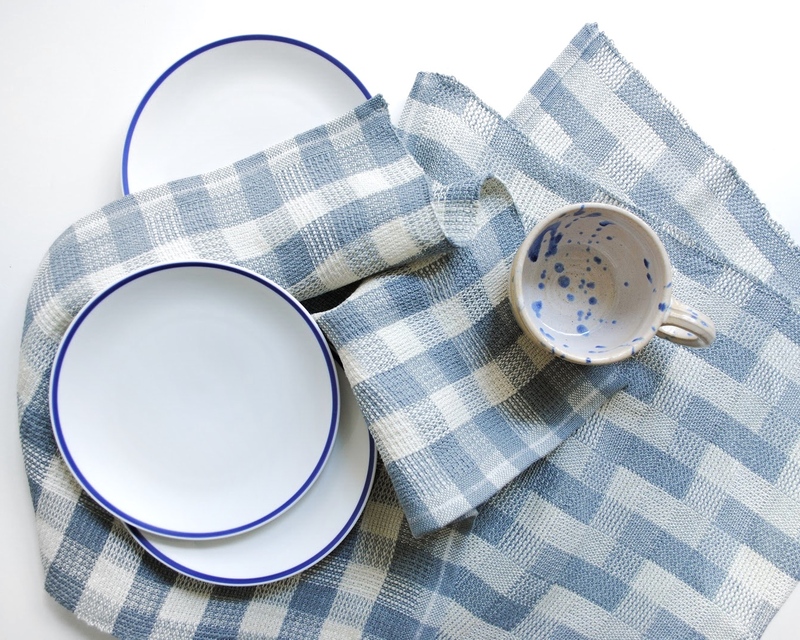 I can only imagine that they will become even more sumptuous as they're used and washed." Writing it twice so you don't miss it! Note that this draft only shows pattern picks. 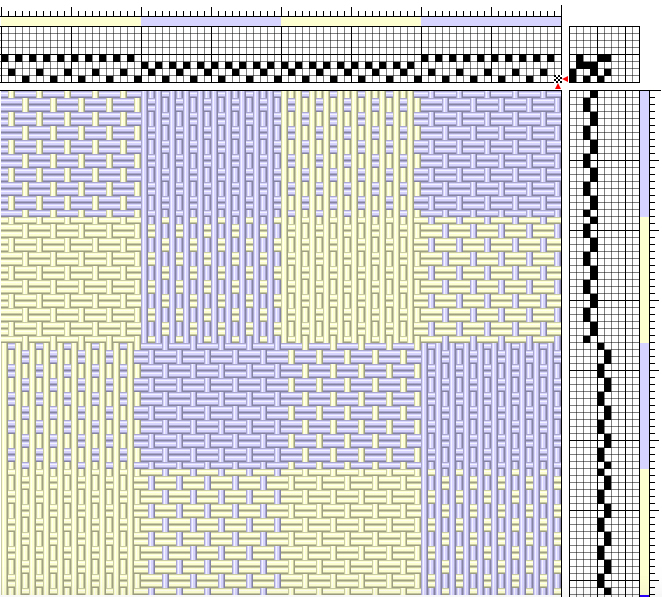 For each pattern pick woven you should alternate with a tabby pick of the opposite color. 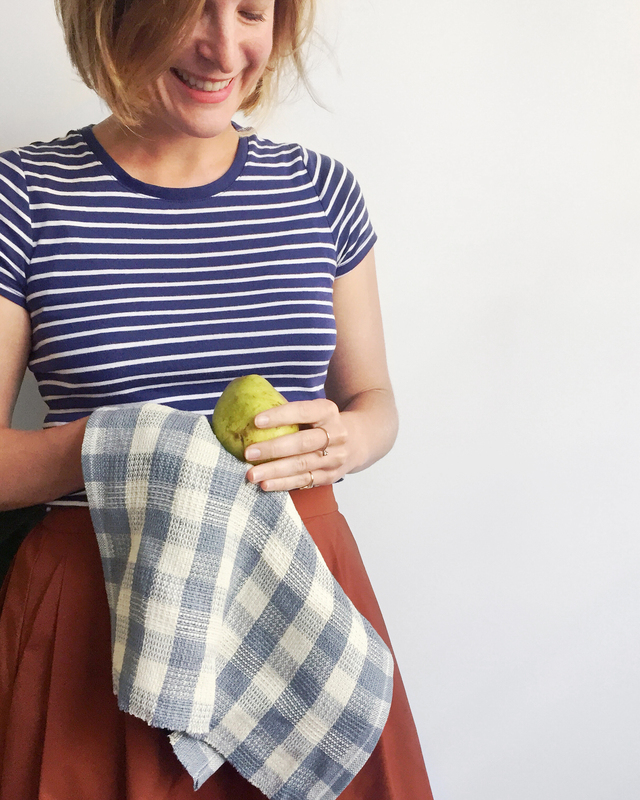 Whitney Crutchfield is the founder and textile artist behind WE GATHER, a Brooklyn-based brand of hand-dyed handwoven textiles and educational textile studio. 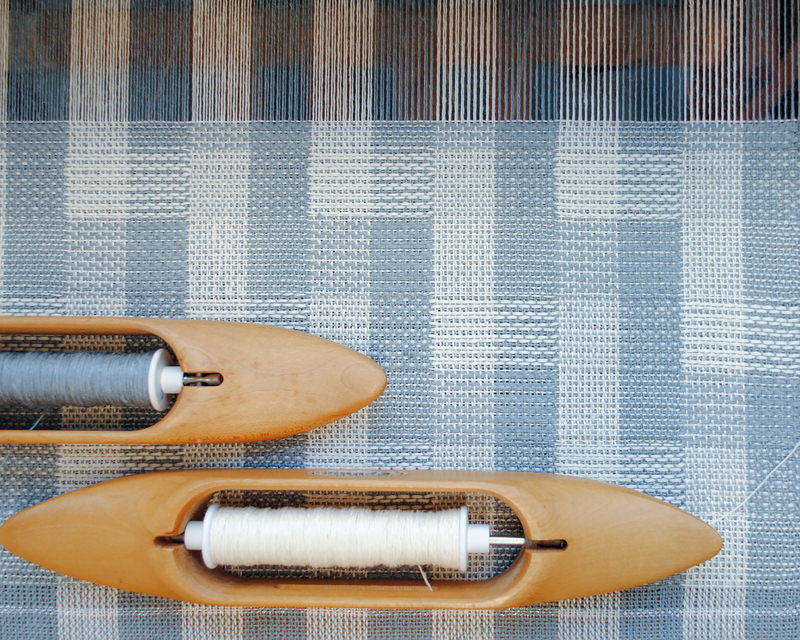 She has been weaving and dyeing her own textiles for over 10 years, creating custom projects for residential interiors and installations for public spaces. 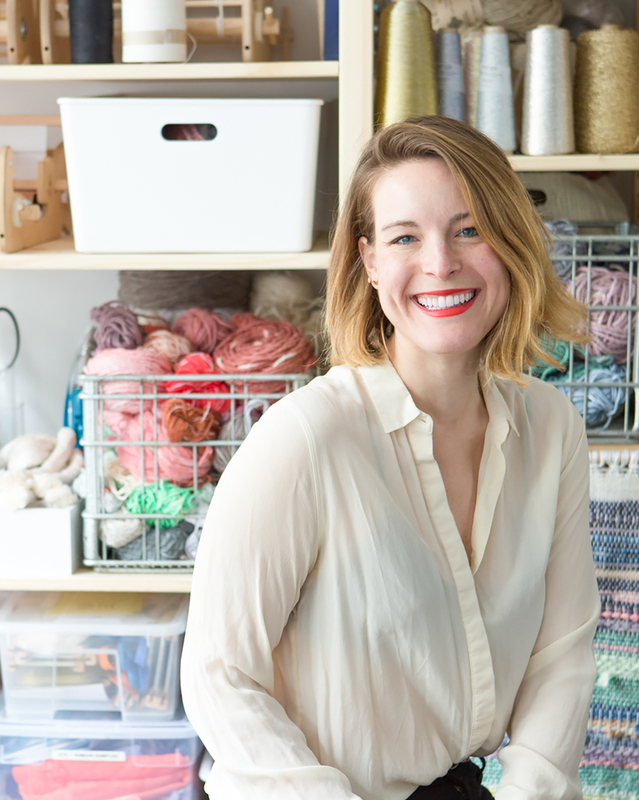 Whitney works to create beautiful textiles that last, and she teaches others about the sheer delight of fabric at FIT and through workshop programming in the WE GATHER studio and in corporate and private venues around the country. Follow @wegather on Instagram to learn more! What size Reed do you suggest? Where does the sparkly yarn get used? I only see it mentioned as a stripe in the hem?